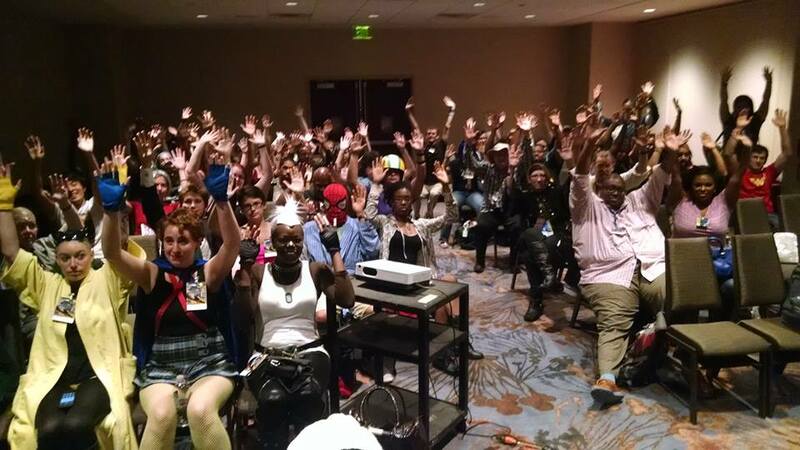 Dragoncon attendees stand with Ferguson at the Race and Gender Issues in Alternate History panel. Dragon*Con has always been a highlight of my convention circuit. This year consisted of five panels, lots of interesting discussion, new faces and old, plus raising money for a good cause. I’m especially grateful for the sincere responsiveness and discussion at the Race and Gender Issues in Alternate History panel that happened on Saturday, where the audience showed their solidarity for the events in Ferguson. 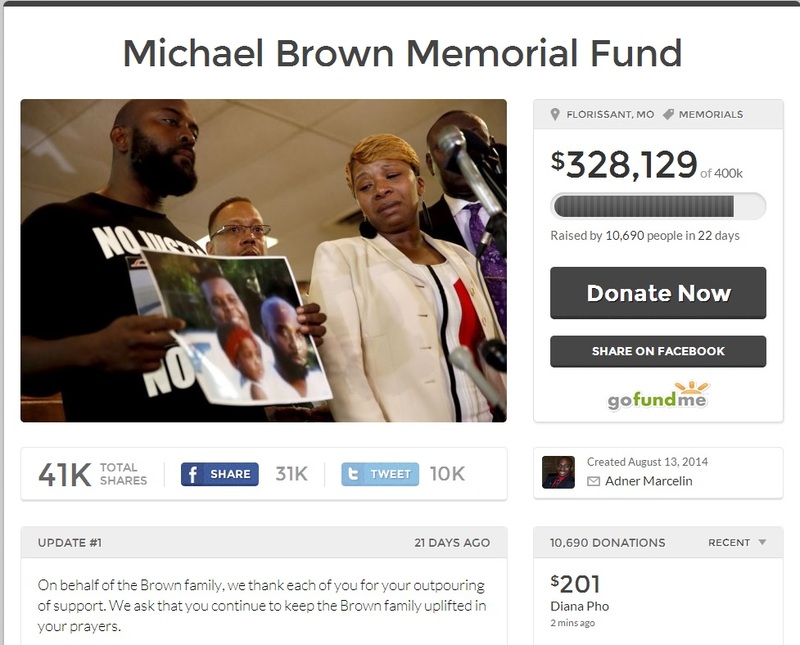 I also want to thank the many, many attendees who bought black ribbons and donated to the Mike Brown Legal Defense Fund while I was on-panel. With panelists (from right to left): Diana Pho, Emmett Davenport, Michael Martinez, Stephanie Osborn, Milton Davis, and Tony Ballard-Smoot. Steampunk, because it’s an aesthetic & a subgenre inspired by a time period fraught with a complex social and political history, is never apolitical. The nineteenth century was a time of intellectual achievement, innovation, and geopolitical expansion. At the same time, that greatness came at the expense of slavery, oppression, social inequality, and racism. These problems did not go away once the Victorian era ended, and in fact, the social scars are still visible upon our society today. So when speaking about steampunk from non-Eurocentric settings, difficult issues about race, class, marginalized histories, and cultural appropriation will be addressed. Also, some thoughts about the role of alternate history in our lives. Speculative fiction is based on fantasies and people usually interpret that as irrelevant to daily life. But the power of a fantasy is related to everyday experiences and histories. Stories that intrigue are stories that people connect with, compare to, or contrast against their own personal stories — even when based on an alternate history or in deep space or in another world entirely. In fact, the significance of steampunk’s “what if?” premise is lost if the reader can’t compare that “what if” to the actual events that the story is playing against. The function of alternate history itself is based on exploring new stories based on the stories we already know (or presume to know). Reading steampunk is not only entertaining, but it is engaging because it actively posits that the reader understands historical realities. For example, in Cherie Priest’s Clockwork Century series, when she talks about the dangers that Captain Croggon Buearegard, a former slave and airship captain, faces, or the resistence of occupied New Orleans, or the importance of Mexican government officials investigating these yellow-sap zombies, or just the awesomeness of Princess (and she is awesome)–all of that conflict and adventure is forgrounded by the complexisies of the Civil War and the roles various minority groups had. Another example is Benjanun Sriduangkaew’s “The Governess and We” from Steampunk World: a story of spycraft in Siam during the reign of King Mongkut. This is also a story about three women, two fictional and one historical: Aunrampha the palace spymaster to the Thai throne, the tinker Ging, and Anna, popularly-known as the English governess to the King (and also not as known, a mixed race Anglo-Indian woman and a suffragette). The King and I is what the West knows about Anna Leonowens’ time in Siam, but Sriduangkaew changes our perceptions of the truths we take for granted from one fictional story by presenting us with another based on other histories. So when we look at events like Ferguson and people say, “How could this happen?” they are saying this because they have only heard one particular set of stories about life in the US. If they blame the people of Ferguson for overreacting or putting their police force in a bad light, they are believing one story over reality. Everyday we are bombarded by biased media and perceptions we take for granted as “normal”. Speculative fiction — especially steampunk — overtly create gonzo, funhouse mirror reflections of our own society, but in that process show how our “normalities” are equally based on fictions. In this particular case, taking a stance on Ferguson on this blog is taking a side with what I think steampunk does. Storytelling itself is never neutral, apolitical, ahistorical, or a pointless fantasy, but communicates with the world around us. Stories can bridge the chasms of misunderstanding that form between people through empathy. For a genre based on lies about reality, steampunk requires you to understand our reality deeply in order to appreciate the lie. And by seeing through the lies, you can also find a reason to fight for a greater truth. 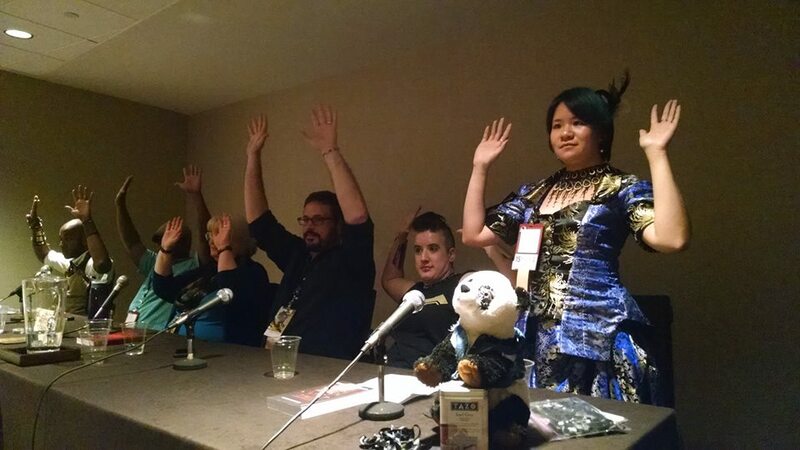 Over $200 dollars was raised on-panel from attendee donations.